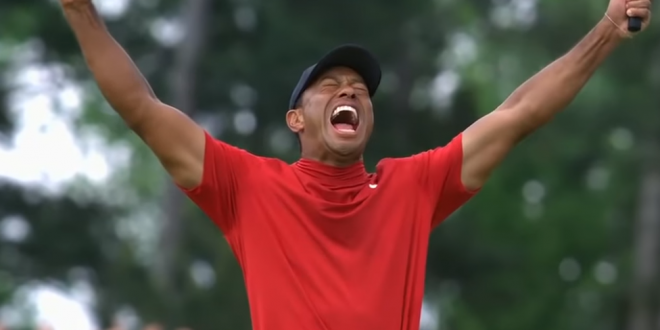 Tiger Woods To Receive Presidential Medal Of Freedom - Joe.My.God. President Trump said Monday he will award pro golf great Tiger Woods with the Presidential Medal of Freedom on the heels of his comeback win at last weekend’s Masters Tournament. Woods’ victory on Sunday gave him his 15th major championship win and his fifth Masters title. Revealing interviews with more than 10 former and current Trump aides and golf partners suggest that golfing has become an equivalent of Trump’s infamous “executive time,” unscripted hours in which his presidency unfolds in spontaneous conversations, phone calls and occasional policy chats with athletes and celebrities. During one 2017 round with Tiger Woods, for instance, Trump asked the golf legend for his thoughts on a tax bill moving through Congress, according to a White House official.